This is interesting and borderline funny. Amazon has created its own URL shortener for products. See TechFlash Amazon creates its own URL shortener for products. Basically the idea is to make it easier to post product links to Twitter and other social media. It has some simple rules and looks to be pretty useful. However one of the more popular Amazon Twitter accounts, Amazondeals with over 15,000 followers is still using TinyURL.com. Seems like an opportunity for improvement for the Amazon GoldBox team. Disclosure: The wife is employed by Amazon, but she does not read my blog. So the big news from yesterday is Amazon buying Zappos. Cash and stock and all that. Congrats to two of my favorite online retailers. The financials are one thing and will be debated. I believe that this will be a great deal for both companies. Also, the notion that Zappos is fun and Amazon is not is irrelevant. The real question is: Why did a Zappos deal happen when a purchase of Netflix was rumored? First, a deal with Netflix has been speculated for many years. The overlaps are obvious. I am sure the smart people at Amazon have investigated Netflix and determined if the addition would be a fit. To be sure, there were some synergies a few years ago. Netflix had a solid customer base and fulfillment. The advent of digital video and applications like Amazon Unbox and iTunes have shown that the digital video is for real. Netflix is nice, but likely not a growth segment. Today, Amazon would have interest in the fulfillment but knows the Netflix customer base is likely to get smaller not bigger. Plus the fulfillment model is great for envelopes not for packages. Second, Zappos is strong where Amazon’s brand struggles. Sure Amazon is trying to compete with Endless.com, but have you shopped for shoes from Amazon? Most of the product is third-party and non-Prime. Being addicted to Prime, I really have to want a product to pay for shipping in addition to the Prime membership. Zappos does do apparel and sunglasses, but these products are not truly “core” Zappos. A shoe print is on the delivery box. I have been very happy with Zappos purchases and the return policy rocks. The customer experience is key to both Zappos and Amazon. Zappos gets the great customer experience like Amazon does. Is Netflix known for great customer experience? Third, Zappos likely realized that if Amazon turned both barrels to better compete with them, they would likely lose in the long run. The venture, Sequoia and others, likely pointed this out in gentle soothing tones. Netflix has been feeling the heat of iTunes and Unbox and digital video. They have made attempts to be in that game, but it is really not their core. Living in Seattle, the public library provides a great alternative to Netflix and I enjoy a benefit of my tax dollars. Fourth, based on my customer experience alone, I would bet that Zappos has an impressive fulfillment model that interested Amazon — more than the Kiva robots (See earlier post). Amazon’s core is retail. Online retail requires fulfillment. Amazon wins because they are always improving fulfillment, thus customer experience. More products on Prime, better experience. Will Zappos offer Prime shipping? Will Zappos UI improve? It could stand some improvement. Will Amazon ever “surprise” me with free upgraded shipping? Will those agencies that complained about Zappos (See earlier post) ever get any work from Amazon? Thanks to Zappos for checking out the blog. You have pushed my readership to over two. Disclosure: The wife is employed by Amazon, but she does not read my blog. One of the great things things of print media pre-Google was the art of zeugma. It is economical. It makes you think. Unfortunately it has been a victim of the search engine age that makes most headlines vanilla as noted in a post regarding an outage at Amazon AWS six weeks ago: Storm Clouds. Glad to see that TechFlash being more creative this time around with Amazon AWS issues over the weekend. See Amazon’s cloud services experience turbulence for the details. Check TechFlash Guest post: Bootstrapping and the infinite runway by Hillel Cooperman. Solid read. 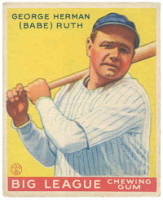 Since the “at bats” phase is used, I like to think of Babe Ruth. He led the American League in strikeouts 5 times in 1918, 1923, 1924, 1927 and 1928. In 1927 hit 60 home runs, breaking his own record as the all-time single-season HR leader. The 1927 Yankees are regarded as one of the greatest teams ever. So you can have failure and success, but you have to take a bat in hand and get to the plate. Amazon’s private brands have seeing renewed attention. Rollout of Pinzon in the UK and trademark applications for “Amazon Basics”. Pinzon has a bed, bath, kitchen and dining focus. The private brands have been around awhile. With other retailers making the move for cost-conscious wares, the fact that Amazon has been doing this is suddenly news. More interesting to me is the addition of Tom Douglas by Pinzon . Tom Douglas is a Seattle celebrity chef and runs Palace Kitchen, my favorite and most recommended restaurant. I have been going there for years. The service is fantastic and the food excellent. My take is that the quality has to be there for him to put his name on it. Good news for the brand. Check TechFlash for more: Amazon to take private label products international. True story. Amazon’s cloud service disrupted by lightning storm. So many play on words possible, but this is the Google search engine age. Everything is vanilla. 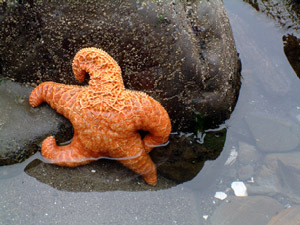 How unfortunate.